Did you know that you can get out a lease early without having to pay those outrageous early termination fees? It's true!!! I just benefited from it. Your landlord is required to let you out of your lease. You are protected by the Servicemember Civil Relief Act. According to the SCRA (Servicemember Civil Relief Act), its pretty simple. 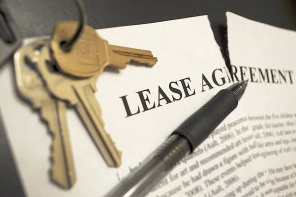 In order to get out of your lease you need to give your landlord a copy of your military orders and a notice that you are leaving in 30 days. For example, lets say your lease goes until Dec 31, 2014. Once you have your physical orders, no matter the report day you can show that to your landlord and tell them you would like to move out in 30 days. In my case it saved me over $1000 in early termination fees. We live in Arizona and our lease went until September. However because I would be traveling so much this year on different active duty orders to different places (DC, Texas), my wife figured it would be best to move back closer to her family in Colorado with our baby. My first orders had me reporting July 7th. Before I knew about this benefit we were planning on moving her to Colorado in June and just biting the bullet on rent or paying an early termination fee, both which would end up costing over $1000. When i figured out about the SCRA benefits I went to our landlord and showed them my orders and told them I wanted to move out in a month. They said no problem, thank you for serving our country and thanks for being a great tenant. Easy and no fee's. Plus I forget to mention that our apartment complex had a military discount. Not much, but $25 off per month! Make sure to ask a military discount off your rent also!! I just looked in my 500 page lease and found this, confirming what we talked about prior. Before you rent somewhere make sure to confirm that they comply with SCRA regulations in case you need to get out early.